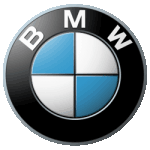 At LittleGreenCarleasing we’ve secured some of the best car leasing deals for BMW. BMWs are classy cars loved by many for their style. Reflecting their German engineering heritage, BMWs are strong, reliable and look great. You’ll see BMWs in lots of movies. The Z8 was driven by James Bond in The World is Not Enough. The 735 featured in Transporter. James Bond drove a BMW again, this time a 7 Series in Tomorrow Never Dies. If you’re looking for status, performance and solid reliability, leasing a BMW could well be your best choice.